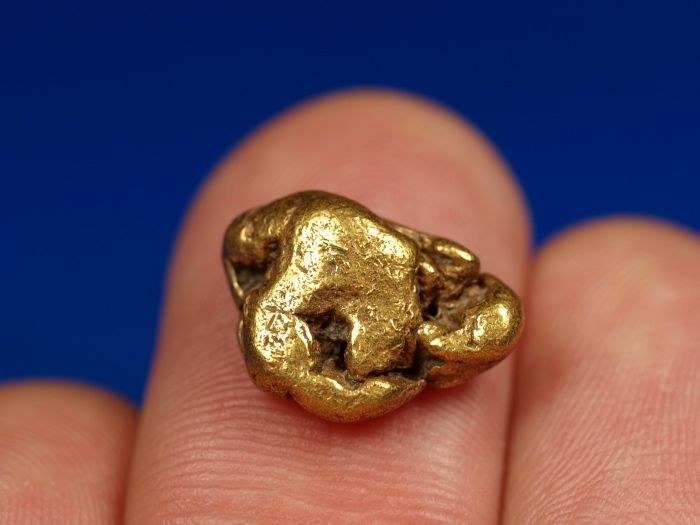 Here is a beautiful natural gold nugget found in the Fortymile Mining District of eastern Alaska. 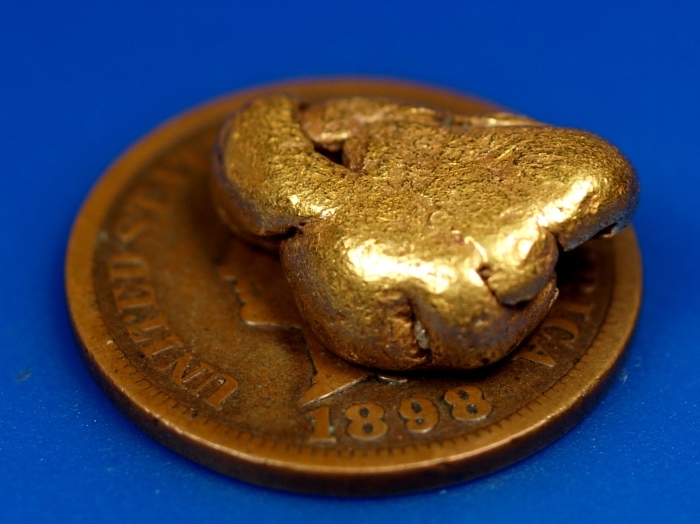 It's a very nice piece of raw gold found recently by a placer miner. It weighs 5.42 grams and will ship for free. Coin is for size reference only.